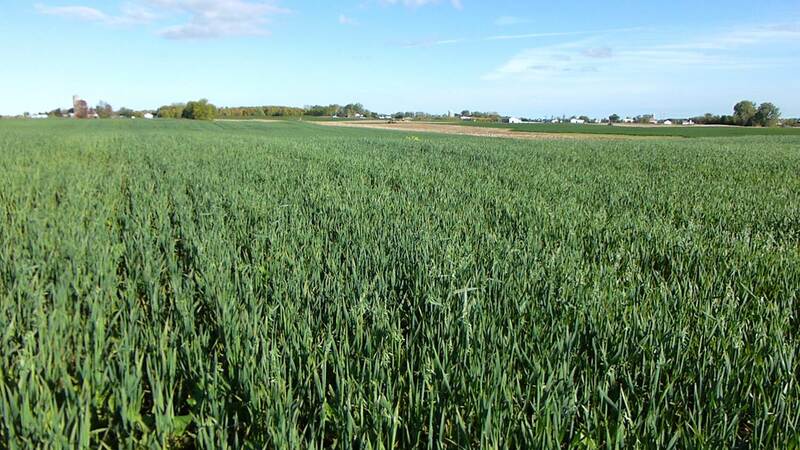 You are here: Home › Cover Crop Benefits › Higher Yields › Nitrogen from Cover Crops › Grazing Cover Crops › Cover Crops for Forage › Cover Crops in the Northland › Cover Crops in Wisconsin – Full Speed Ahead! 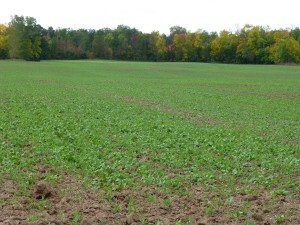 This cover crop field was ready for harvest in late September 2012. I took a new management position in May of 2012 with Wisconsin based Legacy Seeds, Inc. While my main responsibility lies in working with alfalfa and forages I also was pleased to find out that there were several folks in Wisconsin that were using cover crops! Well, you would figure that I’d get involved more with cover crops in the Badger state, and I have. 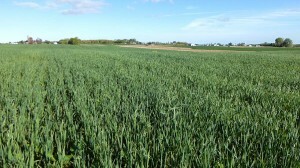 In February 2012 I conducted two cover crops meetings in the Fox Lake, WI area with over 75 producers present. The purpose of these meetings were to teach farmers about how cover crops can work in their farming operations. I was very pleased with the outcome of those meetings as over 10,000 acres were planted on farms that were represented at those meetings. 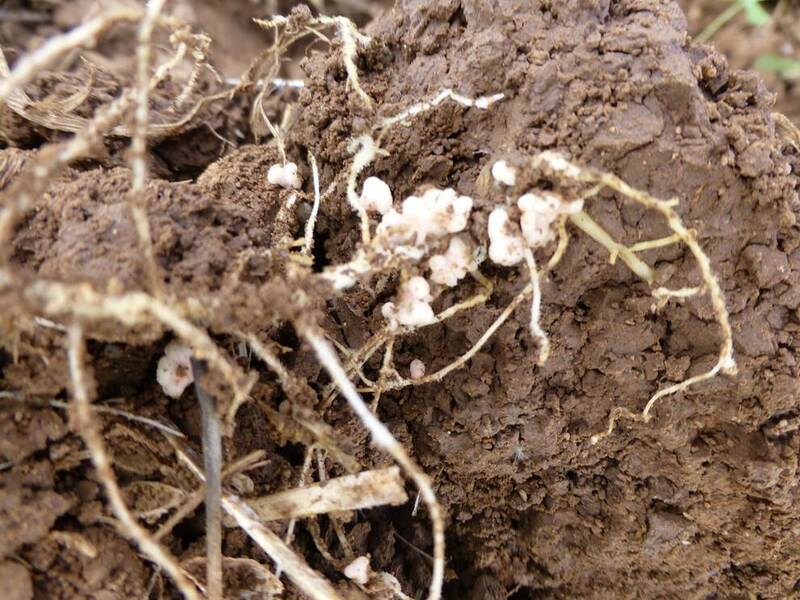 In July I held three more cover crop meetings in Eau Claire, Waupaca, and Brillion, WI. All combined, there were over 150 farmers present and I’m confident that there were at least 30,000 acres of cover crops planted by those farmers. While I don’t have figures of how many cover crops were planted in Wisconsin, I think there were as many as 250,000. Many of those acres were after wheat was harvested and a surprising number after corn and soybeans. Feed was one reason so many acres were planted. The severe drought has created a forage shortage. 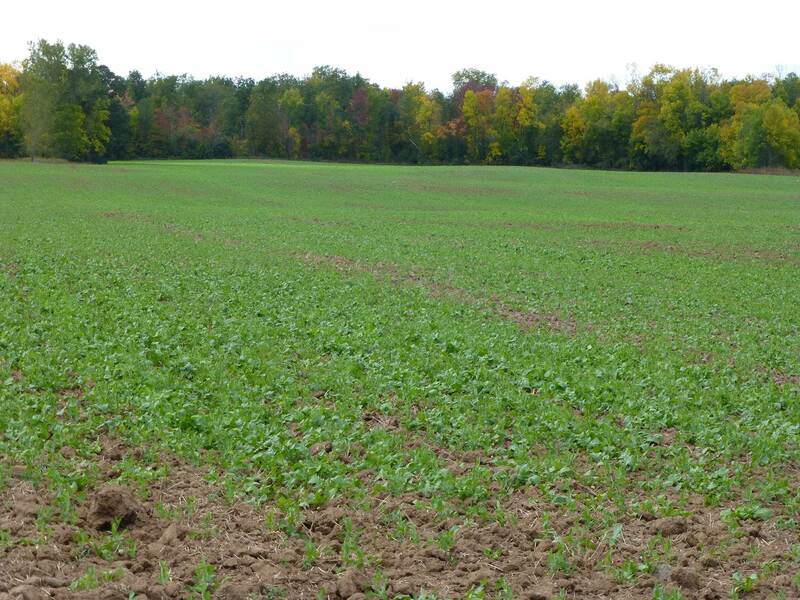 But many farmers planted their cover crops because they want healthier soils and better production. Still others planted because they want to hold onto the nutrients from their manure. Whatever the reason, cover cropping is alive and well in Wisconsin – and growing. You can click on the pictures below to see a larger image of each. The Oats, Appin Turnip and Cowpea combination should make excellent haylage for the Wisconsin dairy market. 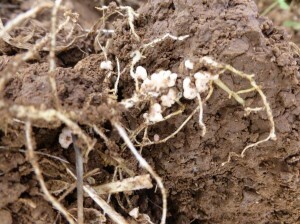 The nodules on the Austrian Winter Peas were multiple and large. This field will be planted to corn next year and it sure appears that a good amount of nitrogen will be in the soil and available for that corn crop. This field of Austrian Winter Peas and Radish east of Green Bay, WI was planted after wheat in severe drought conditions. Thankfully some later rains came to get the mixture up and going. 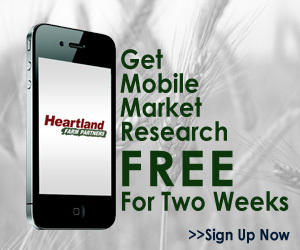 ← Cover Cropping North of I-80 After Corn & Soybeans – A Whole New World? 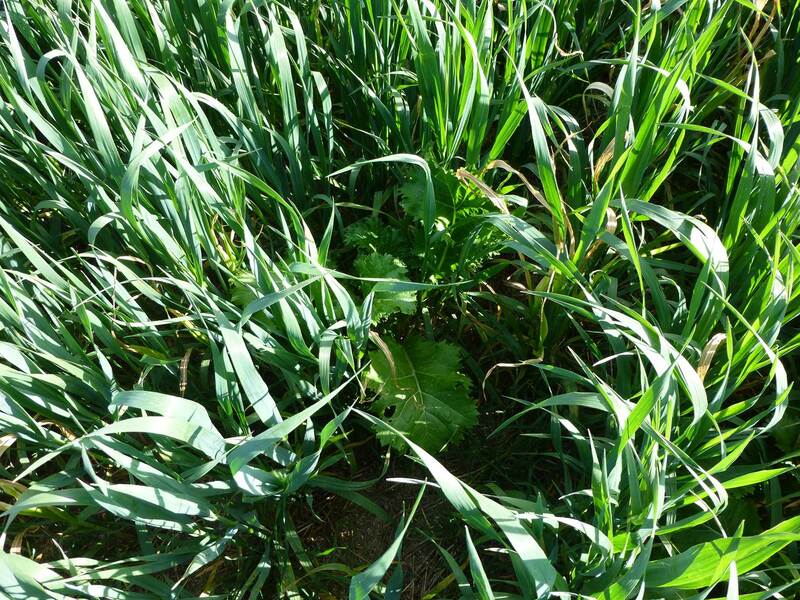 2 Responses to Cover Crops in Wisconsin – Full Speed Ahead! 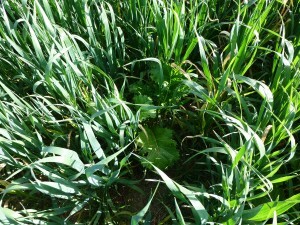 Can you provide more info about cover crops by state. Looking for info on states west of Iowa, Indiana or Ohio. Hey Cary. I am working on getting some cooperators in more western states to help be my “eyes and ears” in their states. What state in particular would you want info from? I’ll do my best to get you that. BTW, I do have info from a cooperator in Kansas that has written two articles on the blog and I’ll post another article of his soon.